Turks & Caicos is one of the most popular destinations for families, with most electing to stay in Providenciales, or “Provo.” There are all-inclusive resorts and partially inclusive resorts here, where activities, amenities and breakfast are included, but you may have to cover additional meals and drinks. Some hotels add packages to make their resorts more inclusive, as well. These are some of our favorites. 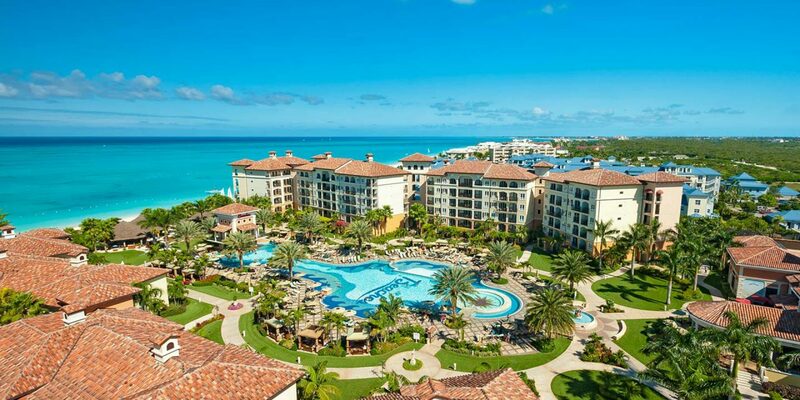 When it comes to Turks & Caicos and all-inclusive resorts, the clear winner is Beaches Turks & Caicos. This uber family-friendly, all-inclusive resort has multiple villages with hundreds of hotel room offerings, dozens of restaurants, plenty of kids" programming and water fun, and everything included. 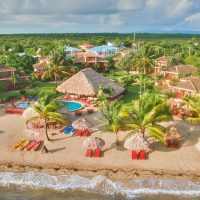 It"s been consistently ranked one of the best all-inclusive resorts on the island, in the Caribbean and for families, and having visited the property ourselves, we love Beaches! If budget isn"t a concern, the luxurious Amanyara is heaven on earth. Part of the Aman family of upscale resorts, this is where the celebrities hide out when on vacation. Of course, the compounds within the resort make it easier, where families (and their nannies) can have their own bungalows and private chefs to cook in their full kitchens. The resort has kids" programming and tons of amenities. Included with a stay at Windsong Resort? Breakfast every day, Wi-Fi, parking, beach and pool service, washers and dryers, bicycles, daily and nightly entertainment, a movie library, and non-motorized water sports, including snorkeling on Windsong Reef, filled with colorful tropical fish. Meals outside of breakfast are yours to cover, but with suites and full kitchens, you can dine in your room or at one of the resort"s restaurants. This intimate rental destination, Le Vele provides 22 oceanfront suites with all the furnishings of home. As vacation condos, there isn"t dining available at the resort, so meals are up to you in your fully equipped kitchen, but a stay here does come with lots of amenities. All suites have ocean views, and guests receive free Wi-Fi, bicycles, reading library, DVDs, board games, a music library, and beach and pool amenities. Ocean Club is two properties in one: Ocean Club Resort and Ocean Club West. What"s great is when you stay at one property, you can enjoy the amenities at the second. Ocean Club and Ocean Club West both offer suites up to three bedrooms in size, and children 12 and younger stay free. Add on a dinner package and breakfast, lunch and dinner at the resorts" restaurants are included with accommodations. This partially inclusive resort offers quite a bit in its pricing. With accommodations, guests receive free breakfast, free kids" club access, free Wi-Fi, and free pool and beach service, as well as non-motorized water sports. You"ll have to pay for your lunch and dinners, but this popular resort is well worth the extra costs. The boutique property offers less than 60 rooms and suites, each made to look like a gorgeous home with full kitchens and up to three bedrooms for families, including washers and dryers and dining space. You"ll feel as if you scored one of Grace Bay"s best vacation rentals with a stay at West Bay Club.